At a time where none of the first look, teasers, trailers and music albums release in peace on the date and time specified by the producers because of leak scare, Dhanush has made sure that Kaala's title poster did not leak anywhere. He seems to have adopted a brilliant strategy where he would announce the release just an evening in advance and give no room for the leakers to take advantage and post it overnight. 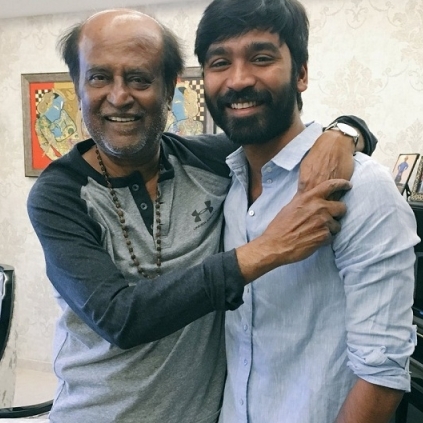 Dhanush took to Twitter last night to let the world know about the title revelation of Rajini's next. To our happy surprise, the release time was fixed as the very next morning. We have seen in the recent times that when a top star announces a first look or a teaser/trailer release, there will be some loophole leading to its leak before the said time of release. We have seen this happen for big films like Vijay's Bairavaa and Ajith's Vivegam. We need to appreciate Dhanush for his wise strategy and timely release. We hope that other producers take up this initiative and try to restrict the leakage. People looking for online information on Dhanush, Kaala, Rajinikanth will find this news story useful.